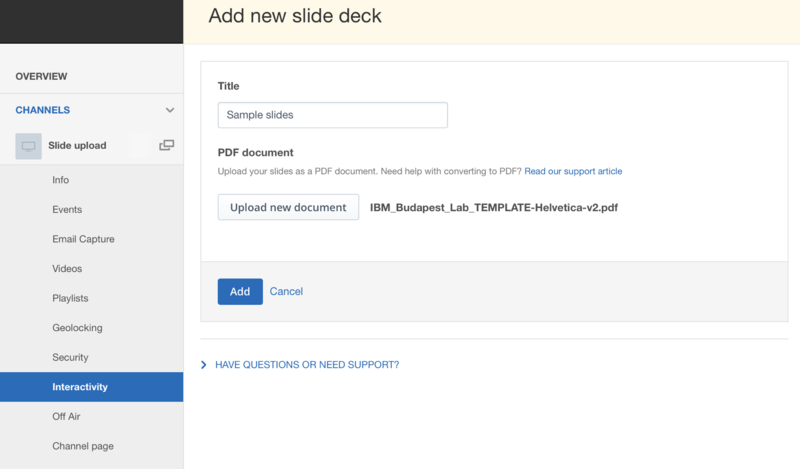 Slide upload is a new feature that allows uploading and sharing slides with viewers in parallel with the streaming video content. 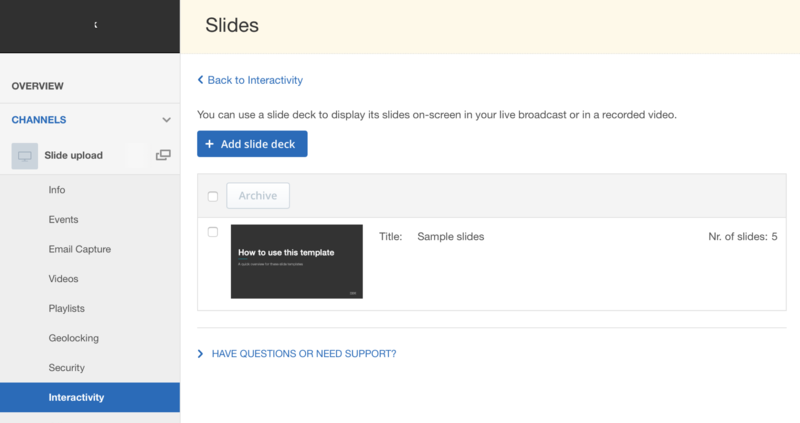 On the Dashboard, go to Interactivity section of your channel to access the Slides feature. Here you may choose Choose a file, give it a title and click the Add button. 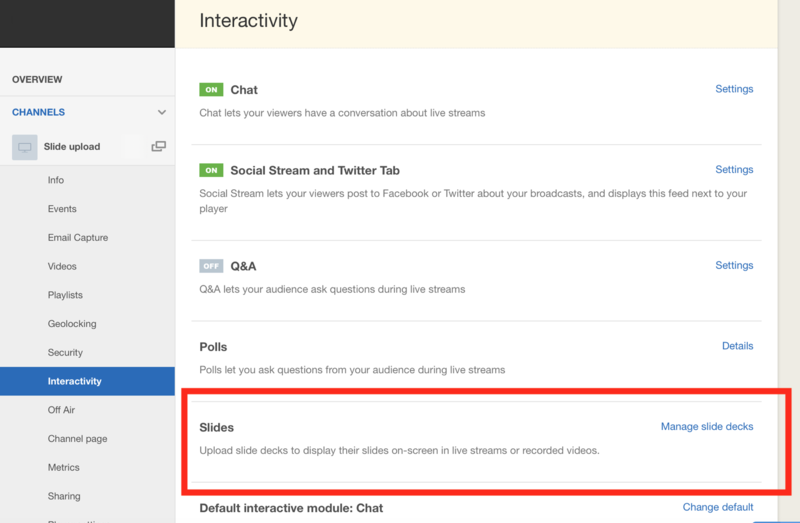 To access the Remote Console for your channel, go to Dashboard, select your channel and scroll down to Broadcast Settings and select Encoder settings. From here you can Launch the remote console. 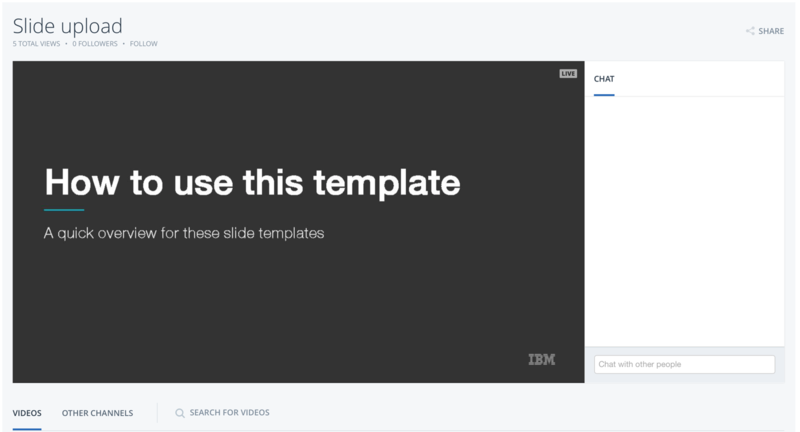 You may also manage your slides from the Web Broadcaster by selecting the Go LIVE button in the top right corner of your Dashboard. 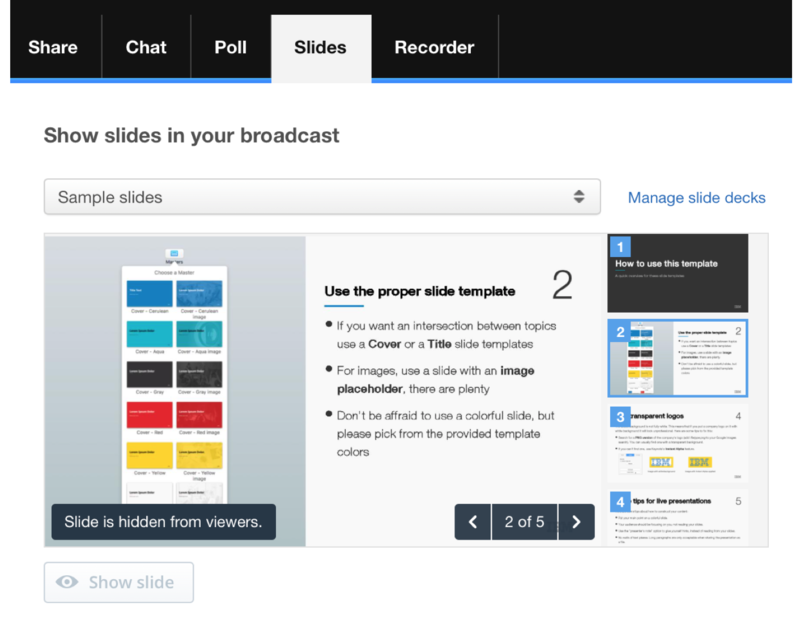 Once the Web broadcaster is open, select the Menu button and choose Slides. Once you have managed and started streaming your slides. 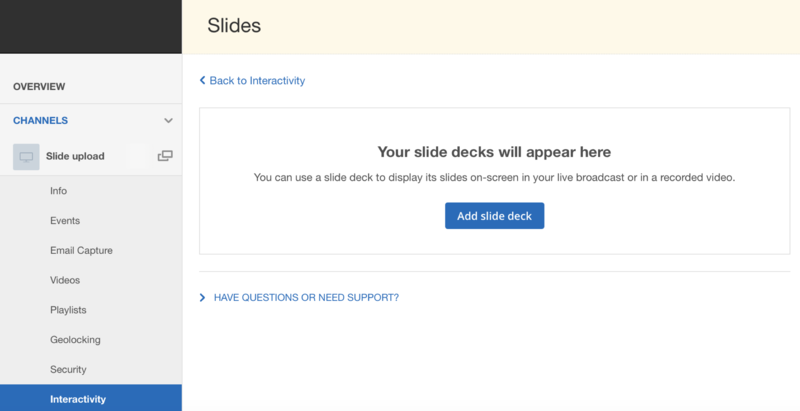 Viewers will see the Slides appear automatically. 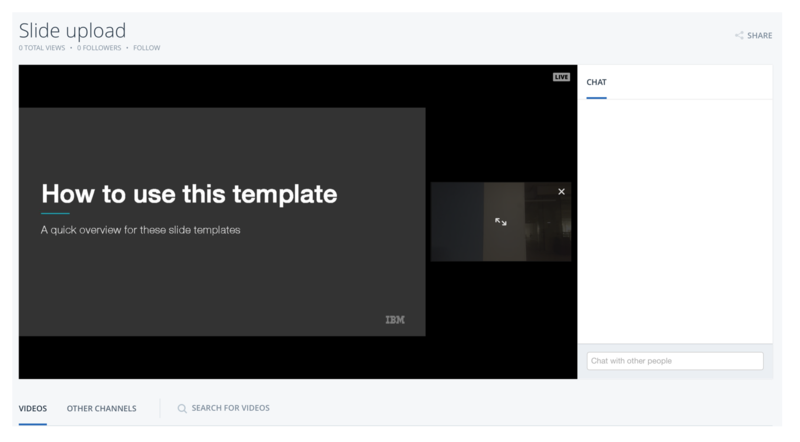 Viewers will also have options on how they want to view your content and slides and can have the ability to toggle how they are displayed. 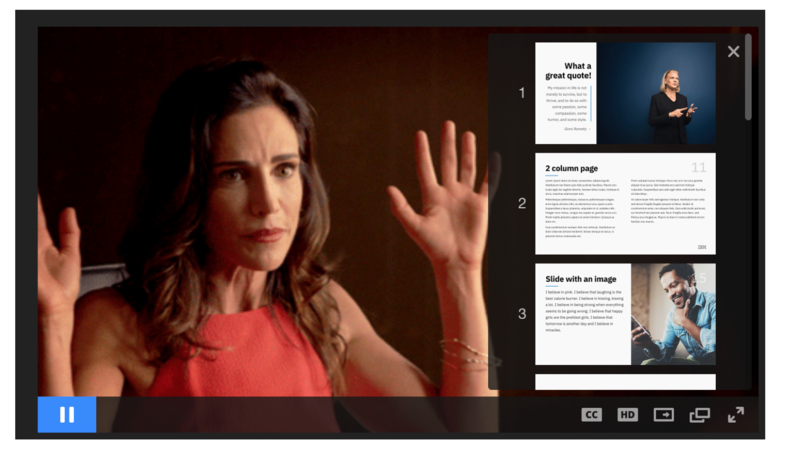 Viewers can have the ability to watch either a Picture in Picture (PiP) of your content and slides together or can decide on which one they would prefer to watch in full screen on player. 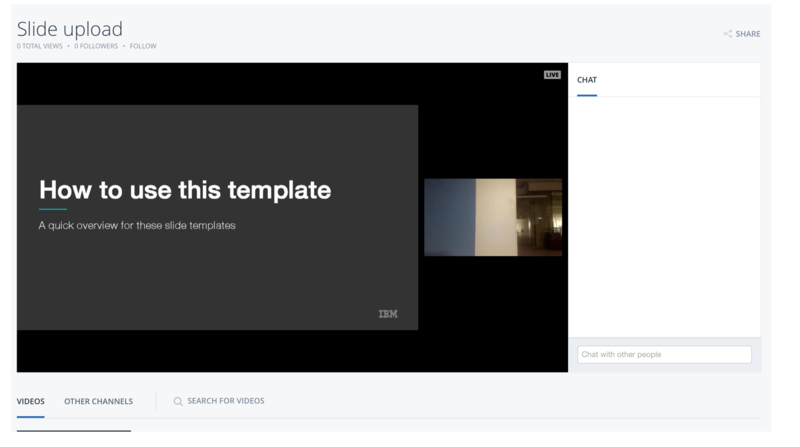 Please note If a recording is in progress when the live content with slides is being presented, the slides will be recorded with the VOD and played back when watching the VOD. 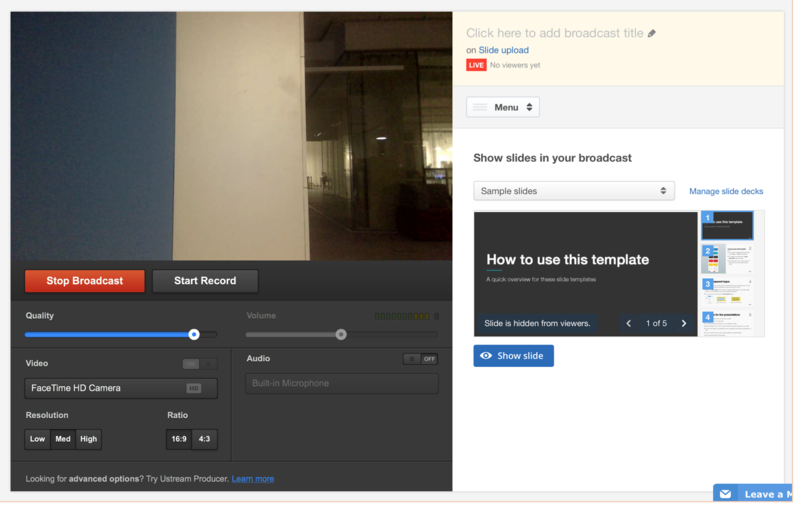 In this case a slide index is also available when watching the VOD to seek to any specific slide in the video.